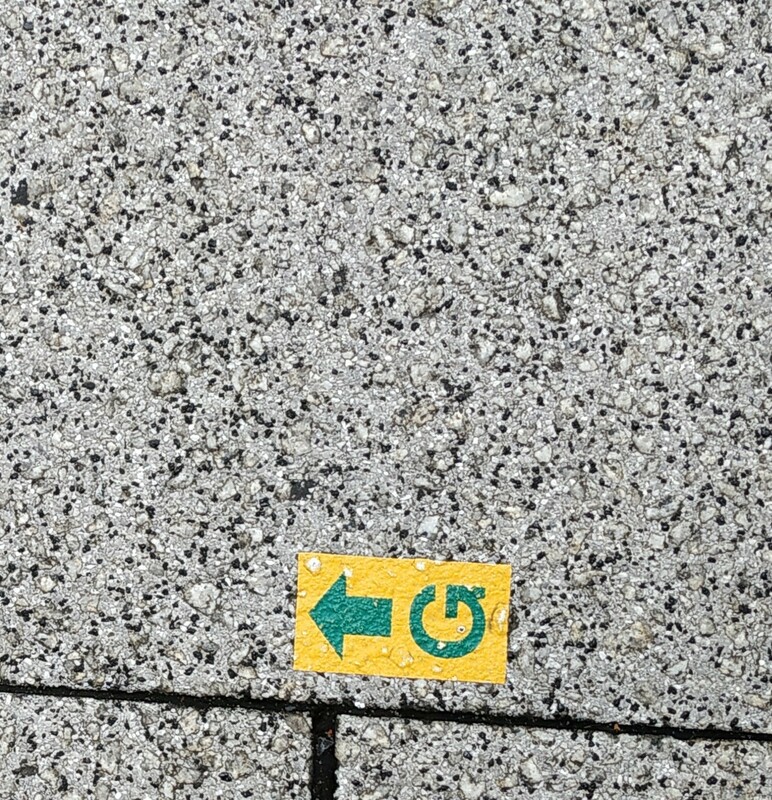 What are the yellow stickers with the letter G and one or two arrows on some Japanese streets? I've been traveling around Japan recently and I've come across these stickers with the letter "G" and one or two arrows in many streets in Tokyo, Osaka and Kyoto. Some streets have dozens of them. What do they mean? It's a marker for a buried gas pipeline. Arrow points to where the gas heads to. The marker is used to easily identify which areas need to be dug up, in case maintenance (e.g. pipe replacement) is needed, or to avoid the pipes during excavation work.